Stretch before dancing at the bus stop. After a long summer, you may be a little excited about getting a break from your kids. In fact, years ago, we posted a blog about Massachusetts Mom, Tracy Moutafis, who earned national attention for dancing at the bus stop at the start of each school year. If you feel the need to channel your inner Tracy and cheer, breakdance, or cartwheel, be sure to avoid Gina’s mistake and stretch before to avoid injury. Stay current on your Internet bill. You may not be an Algebra expert, but you can certainly play one on Google to get those homework answers. Also, don’t be afraid to put your social networks to good use. Ask that engineer friend to do you a square and help with geometry or that ski pro friend to help calculate slope. Choose your Emergency Contact wisely. Try to select a responsible, patient person whom the school can call in your absence — a person who will not fold under difficult circumstances or attempt to enter the Witness Protection program. Clear out filing space. An organized special parent is a successful one, so make sure you organize and file important legal paperwork, such as IEPs, evaluations, progress reports, rights’ brochures, as well as documentation for any new lawsuits that may arise as a result of your child’s behavior. Consider converting a spare bedroom, renting a storage bay, or emptying out that pool that no one seems to use anymore. Do you have an imperfect tip you’d like to add? 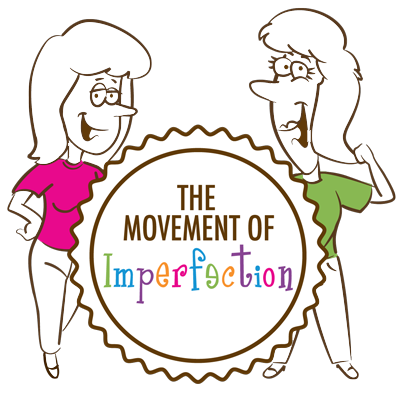 Go ahead… share with the imperfect group.